We also sell a large amounts of barbed wire, both mild steel & high tensile. They both come in two strand. We supply this in 200 metre rolls only. Mild steel barbed wire is on a wooden spool/reel and is the best quality. We know this as grant approved barbed wire because DEFRA approve the gauge that it is manufactured in and the quality of the galvanising. High tensile barbed wire is of thinner gauge so is cheaper to manufacture, it is more of a utility wire if you like. 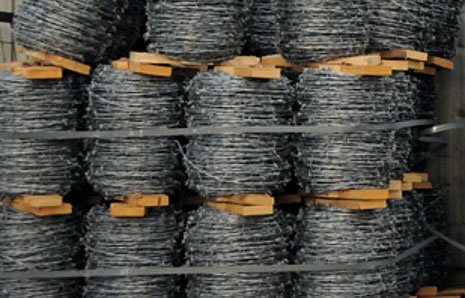 All of our barbed wire is heavily galvanised to British standard. As well as all of the products below we are always getting special orders of wire in.